View into the accelerator tunnel: behind a chicane (in front) operating at room temperature the electrons are guided into the first four superconducting accelerator modules. The European XFEL has reached an important milestone on the way to its operation phase: The Accelerator Team has guided the first electrons from their initial acceleration point in the facility’s injector into the superconducting main linear accelerator, which is cooled to -271°C (2 Kelvin). 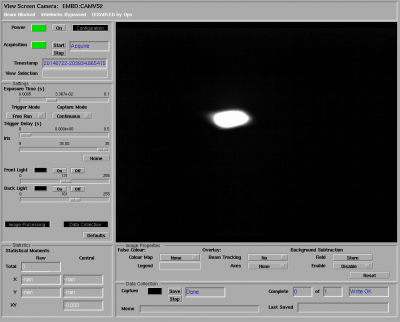 After passing through the first four accelerator modules and a subsequent section wherein the electron bunches are compressed, the particles were captured in an electron dump about 150 metres away. At the beginning of December, the experts began to flush the cryogenic system of the accelerator and fill it with helium. On 28 December, after three weeks at the 4-Kelvin (-269°C) mark, the so-called “cold compressors” were switched on. They lowered the pressure of the helium in the linear accelerator to 30 millibar so it could cool further to 2 Kelvin (-271°C, the operational temperature of the accelerator). At the beginning of January, the machine physicists brought the European XFEL injector, which has a superconducting segment within it as well, back into service. After a successful test operation in summer 2016, the injector had been turned off so that the chicane connecting it to the main accelerator could be built. After a short time, the injector again achieved the beam quality of the test operation in summer, and the team could then direct the first particle beam through the chicane and into the main accelerator. “We now have sufficient control over the pressure and temperature in the superconducting accelerator, such that we can feed the cavities with the first high frequency field”, Weise explained the next task for the scientists. The 32 resonators in the first four modules are then being brought to resonance frequency and fine-tuned to one another so that the particle bunches can be accelerated through them. In the next weeks and months, the successive commissioning of the remaining accelerating sections is planned. As soon as the acceleration is high enough, the electron bunches will be sent through the undulators, which are special magnetic structures in which the X-ray flashes will be generated. The “plot for experts” shows the temperature development in the different sections of the main accelerator during the cooldown phase. The Hamburg area will soon boast a research facility of superlatives: The European XFEL will generate ultrashort X-ray flashes—27 000 times per second and with a brilliance that is a billion times higher than that of the best conventional X-ray radiation sources. The outstanding characteristics of the facility are unique worldwide. Starting in 2017, it will open up completely new research opportunities for scientists and industrial users. Ninety-six modules fully installed in 1.7-km long tunnel section. An important milestone in the construction of the X-ray laser European XFEL has been reached: The 1.7-km long superconducting accelerator is installed in the tunnel. The linear accelerator will accelerate bunches of free electrons flying at near-light speed to the extremely high energy of 17.5 gigaelectronvolts. The bunches are accelerated in devices called resonators, which are cooled to a temperature of -271°C. In the next part of the facility, the electron bunches are used to generate the flashes of X-ray light that will allow scientists new insights into the nanocosmos. 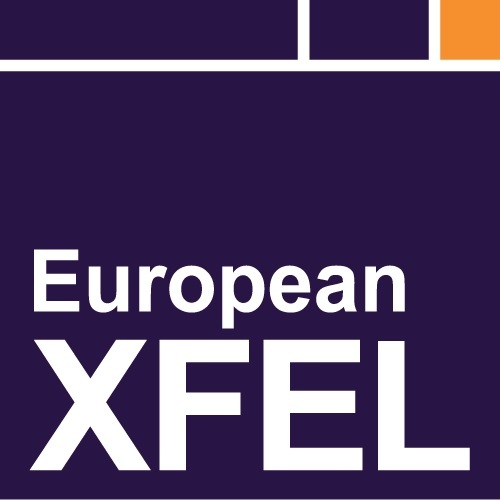 The European XFEL accelerator will be put into operation step by step in the next weeks. It will be the largest and most powerful linear accelerator of its type in the world. 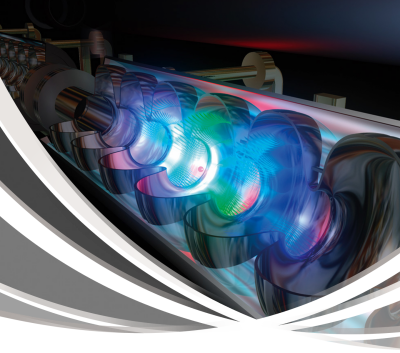 On 6 October, the German Minister for Education and Research, Prof. Johanna Wanka, and the Polish Vice Minister of Science and Education Dr Piotr Dardziński, will officially initiate the commissioning of the X-ray laser, including the accelerator. User operation at the European XFEL is anticipated to begin in mid-2017. Responsible for the construction of the accelerator was an international consortium of 17 research institutes under the leadership of Deutsches Elektronen-Synchrotron (DESY), which is also the largest shareholder of the European XFEL. 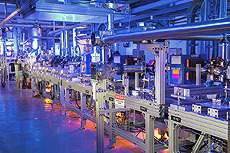 The central section consists of 96 accelerator modules, each 12 metres long, which contain almost 800 resonators made from ultrapure niobium surrounded by liquid helium. The electrons are accelerated inside of these resonators. The modules, which were industrially produced in cooperation with several partners, are on average about 16% more powerful than specified, so the original goal of 100 modules in the accelerator could be reduced to 96. Using a small box as a clean area, technicians make connections between two accelerator modules in the European XFEL tunnel in April. The French project partner CEA in Saclay assembled the modules. Colleagues from the Polish partner institute IFJ-PAN in Kraków performed comprehensive tests of each individual module at DESY before it was installed in the 2-km long accelerator tunnel. Magnets for focusing and steering the electron beam inside the modules came from the Spanish research centre CIEMAT in Madrid. The niobium resonators were manufactured by companies in Germany and Italy, supervised by research centres DESY and INFN in Rome. Russian project partners such as the Efremov Institute in St. Petersburg and the Budker Institute in Novosibirsk delivered the different parts for vacuum components for the accelerator, within which the electron beam will be directed and focused in the non-superconducting portions of the facility at room temperature. Many other components were manufactured by DESY and their partners, including diagnostics and electron beam stabilization mechanisms, among others. In October, the accelerator is expected to move towards operation in several steps. As soon as the system for access control is installed, the interior of the modules can be slowly cooled to the operating temperature of two degrees above absolute zero—colder than outer space. Then DESY scientists can send the first electrons through the accelerator. At first, the electrons will be stopped in an “electron dump” at the end of the accelerator, until all of the beam properties are optimized. Then the electron beam will be sent further towards the X-ray light-generating magnetic structures called undulators. Here, the alternating poles of the undulator’s magnets will force the electron bunches to move in a tight, zigzagging “slalom” course for a 210-m stretch. In a self-amplifying intensification process, extremely short and bright X-ray flashes with laser-like properties will be generated. Reaching the conditions needed for this process is a massive technical challenge. Among other things, the electron bunches from the accelerator must meet precisely defined specifications. But the participating scientists have reason for optimism. All foundational principles and techniques have been proven at the free-electron laser FLASH at DESY, the prototype for the European XFEL. At European XFEL itself, the commissioning of the 30-m long injector has been complete since July. The injector generates the electron bunches for the main accelerator and accelerates them in an initial section to near-light speed. The beginning of user operation, the final step in the transition from the construction phase to the operation phase, is foreseen for summer 2017. 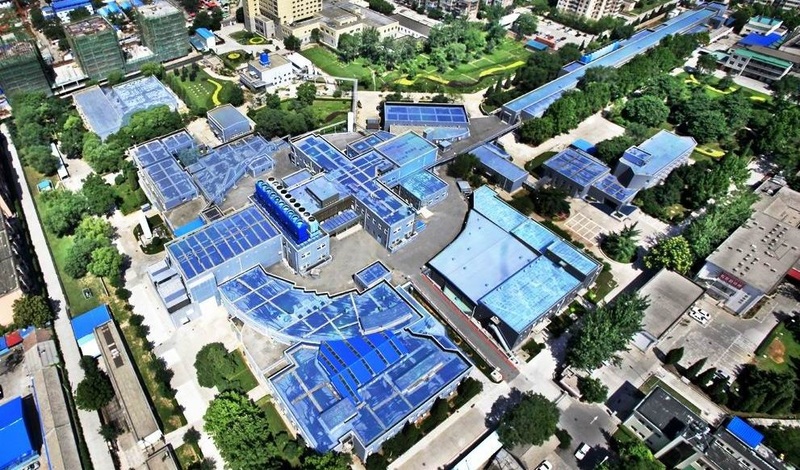 Qinghuada is the potential site for the Chinese collider. With the discovery of the Higgs particle at the Large Hadron Collider at CERN in July 2012, after more than 50 years of searching, particle physics has finally entered the era of the Higgs, and the door for human beings to understand the unknown part of the Universe is wide open! 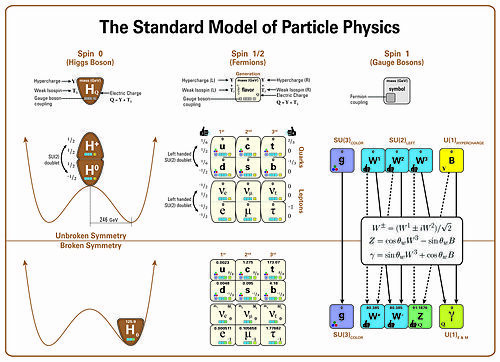 The Standard Model theory of particle physics is now gloriously complete: all particles that it has predicted have been found through experimental discovery with particle colliders. Now is the time to nail it down with precision and to match to new theories to cover the unknown components of the Universe, such as Dark Matter and Dark Energy, through Higgs with its field stretched out to the whole Universe space. The Higgs couples not only to known fundamental particles in the Standard Model but might also couple to unknown parts of the Universe. To understand the whole Universe, with 5% of known Standard Model particles, 27% of Dark Matter and 68% Dark Energy, on the basis of the fundamental principles, the key of keys is to understand the 125-GeV Higgs with great precision. In fact, this task has great importance in science in terms of the fundamental understanding the Universe as a whole, including its beginning, its current status and its evolution. It is in this sense that studying the Higgs with great precision becomes one of the top subjects of big science. Different from a hundreds years ago, big science requires big instruments, a big scientific community, and big collaborations, especially in particle physics, which is becoming one of the precious cultures in human beings’ scientific activities. Different from a hundreds years ago, big science requires big investment in terms of both finance and human resources. However, just like a hundred years ago, big science rewards human beings in all aspects of life and activities on this planet and in space, such as electricity, nuclear power, and the World Wide Web as a (big!) byproduct out of big science research activity. And who knows, maybe (in at least philosophical point of view) human beings might one day be able to collide Dark Matter with the Higgs to release energy just like what we have done to hit atomic nucleus with neutrons to release nuclear energy. 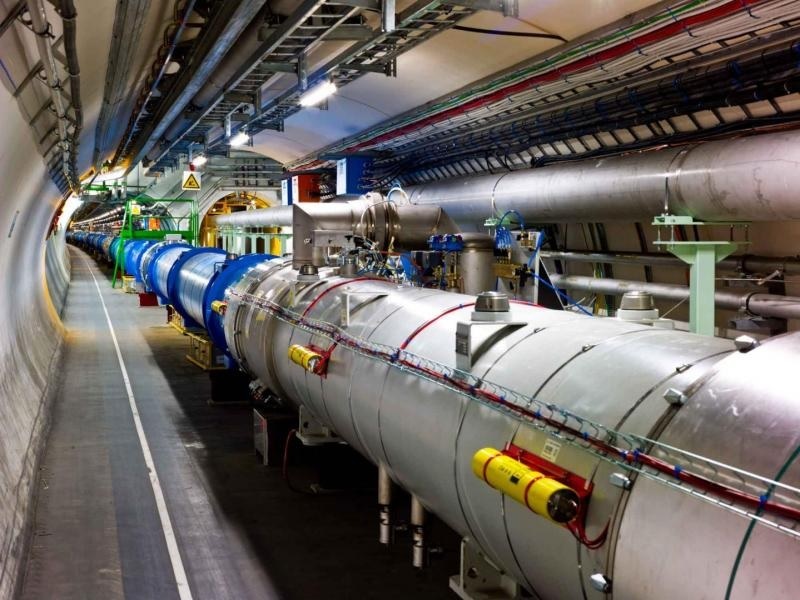 Concerning precise Higgs studies and beyond, the International Linear Collider (ILC), baptised by the International Committee of Future Accelerators (ICFA) in 2004, is one of such future big instruments. It is an electron-positron linear collider based on superconducting linear accelerator technology, with a potential of exploring centre-of-mass energies up to 1 TeV. 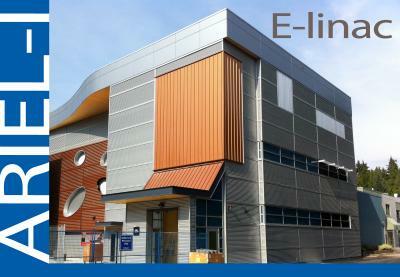 In 2013, the ILC team finished its Technical Design Report (TDR), and Japan is considering to become its hosting country. In September 2012, right after the Higgs was found at the LHC, Chinese scientists proposed a circular electron-positron collider in China at 240 GeV centre of mass for Higgs studies with two detectors situated in a very long tunnel at least twice the size of the LHC at CERN. It could later be used to host a proton-proton collider well beyond LHC energy potential to reach a new energy frontier. From 12 to 14 June 2013, the 464th Fragrant Hill Meeting was held in Beijing about the strategy of Chinese high energy physics development after Higgs discovery, and the following consensuses were reached: 1) support ILC and participate to ILC construction with in-kind contributions, and request R&D fund from Chinese government; 2) as the next collider after BEPCII in China, a circular electron-positron Higgs factory（CEPC) and a Super proton-proton Collier (SppC) afterwards in the same tunnel is an important option and a historical opportunity, and corresponding R&D is needed. The vision of the 464th Fragrant Hill Meeting consensuses is that firstly, ILC is the right machine to be built globally in the world with its centre- of-mass energy potential up to 1 TeV, and China will be one of its important participants and contributors, and secondly, China should contribute not only through ILC collaboration and participation, but also make contributions to precise Higgs measurement through CEPC jointly with ILC for a period of time as a combined instrument with three detectors taking data during ILC and CEPC operation to ensure the excellent joint precision, and thirdly, shifts from CEPC operation to SppC construction and operation to explore physics in energy frontier as long term contribution. In fact, ILC and CEPC are complementary, and the complementarity between ILC and CEPC manifests itself not only through more detectors to increase joint measurement precision, but also through their energy region running scenarios. The ILC and CEPC are planning starting times that are almost the same. The ILC runs only at 500 and 350 GeV in the first five years, while CEPC during this time is running at 240GeV. After 5 to 7 years running, CEPC will start its shift to SppC, while the ILC continues a 20-year programme running at 500GeV, with possible upgrades to 1TeV and beyond. Finally, the fact that Japan and China, both Asian countries, having strong willingness to contribute to the high-energy physics community and science in general with world participation, one for hosting ILC and another for CEPC, is really excellent, it responds well to the fact that we have entered the era of the Higgs, and ILC and CEPC are a needed united big instrument to have excellent joint precision for Higgs study and beyond. In the year since the ARIEL building was constructed, multiple teams across the lab have intensified efforts, continuing to pool expertise and elbow grease towards the design and commissioning of ARIEL’s electron linear accelerator (e-linac). 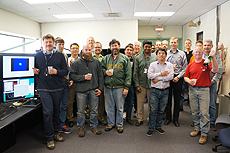 On July 18, 2014 the e-linac project team – including the Super-Conducting Radio-Frequency (SRF) group, Cryogenics group, and e-linac Commissioning team – completed the first acceleration of beam through the e-linac superconducting injector cryomodule to the 10 MeV beam dump. 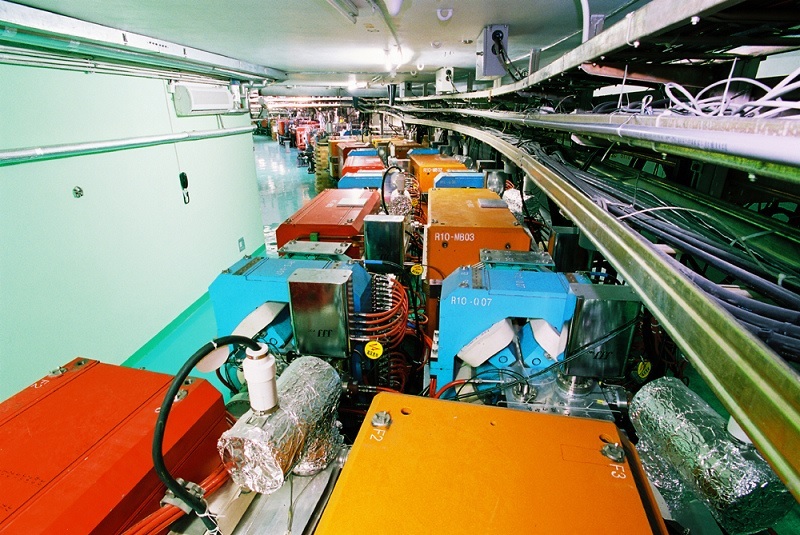 The test included the set-up and tuning of the electron gun (e-gun), the low energy transport beamline and buncher, and demonstrated the successful phase lock between the e-gun, buncher and superconducting e-linac cavity that keeps the radiofrequency (rf) synchronized to the beam bunches. Four different energies were accelerated to the dump current monitor with the measured value of each energy in agreement with rf calibrations. The test confirmed the integrity of the cryogenic and rf systems as well as the successful function of the installed e-gun and beam line components. For more information, please visit the ARIEL website. Queen’s University, University of Toronto, University of Victoria, York University. Not too shabby, eh? University of Calgary, McMaster University, University of Northern British Columbia, University of Regina, Saint Mary’s University, University of Winnipeg, How bad is that !! SLAC National Accelerator Laboratory is home to a two-mile linear accelerator—the longest in the world. Originally a particle physics research center, SLAC is now a multipurpose laboratory for astrophysics, photon science, accelerator and particle physics research. 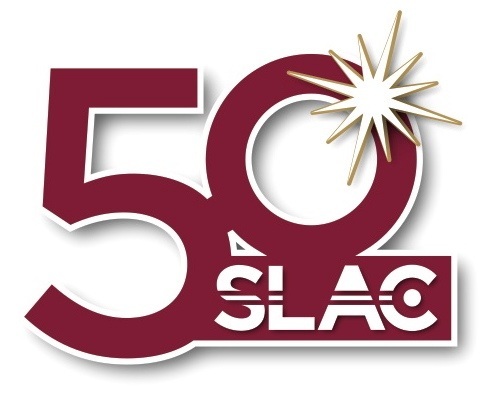 “In mid-February, SLAC’s newest user facility, FACET – the Facility for Advanced Accelerator Experimental Tests – will launch into its startup. Approximately four weeks later, the first scientists will arrive to use FACET for a three-month run of experiments. FACET, the Facility for Advanced aCcelerator Experimental Tests, uses two-thirds of the famous two-mile-long linear accelerator at SLAC National Accelerator Laboratory. FACET will host a large variety of experiments, but its main focus is on demonstrating a new acceleration technique, known as plasma wakefield acceleration, which promises to accelerate electrons to very high energies in a much shorter distance than possible today. This would be the equivalent of shrinking SLAC’s 2-mile-long linear accelerator into a box about 3 feet long. An earlier experiment had already demonstrated that these steep acceleration gradients are possible. That experiment was successfully repeated last spring and achieved an acceleration gradient of 25 billion electronvolts per meter, reaching the equivalent of half the energy the SLAC linac can attain. But many questions remain: Is plasma wakefield acceleration efficient? Can it be done routinely and reliably? Is the beam quality good enough? Can it accelerate positively charged positrons as well as negatively charged electrons? This last question is important if we are to use this technology to build an electron-positron collider for particle physics experiments – one of many important potential applications for miniaturized accelerators in science, industry and medicine.